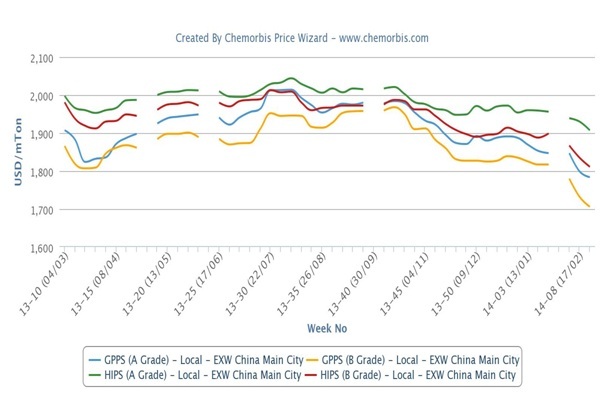 More domestic PP and PE prices for March were announced with decreases in Malaysia and Indonesia after initial prices emerged lower last week as per the pricing service of ChemOrbis. Softer import prices and the downward trend in China in February were cited as the main reasons behind the new lower prices in Malaysia while converters in Indonesia remain cautious about their purchases, citing weak demand for their end products due to the monsoon season. After a Southeast Asian producer lowered their local PE and PP offers to Malaysia by $50/ton for March last week, more domestic PE prices for March were announced with decreases of MYR200/ton ($61/ton) for LDPE and MYR100/ton ($31/ton) for most grades of HDPE, with the exception of HDPE blow moulding grade, for which prices were rolled over from last month. LLDPE c4 film offers were also left unchanged from February. In the PP market, March prices declined by MYR150/ton ($46/ton) for homo-PP raffia and injection and by MYR180/ton ($55/ton) for PP copolymers. In Indonesia, after a domestic producer lowered their PP and PE prices by $20/ton last week, a converter reported receiving new PE offers from another local producer with decreases of $10/ton for HDPE film, injection, blow moulding and yarn and $20/ton for LLDPE c4 film when compared to their late February prices. 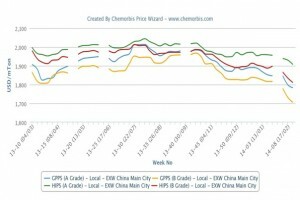 According to ChemOrbis, a distributor lowered his March PE prices by $20/ton for LLLDPE c4 film and all HDPE products in line with one of the local producer’s price cuts. He commented that his supplier was facing production issues so supply for LLDPE film was tight while HDPE availability was normal. For PP, the distributor left his prices unchanged this week, commenting that demand, especially for homo-PP raffia, improved while supply is normal.